What is the value of the durable at a time when the new is paramount? How do we fill the void created by the excesses of a superficial society? What resources can we muster when confronted by the inevitability of death? For the poet and critic Harry Eyres, we can begin to answer these questions by turning to an unexpected source: the Roman poet Horace, discredited at the beginning of the twentieth century as the "smug representative of imperialism," now best remembered—if remembered—for the pithy directive "Carpe diem." 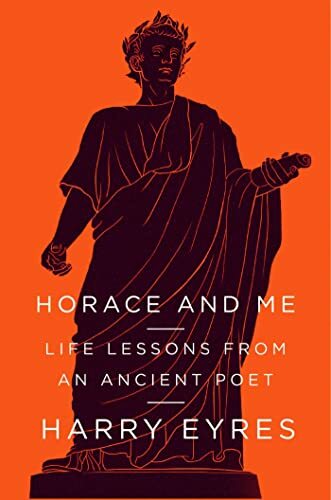 In Horace and Me: Life Lessons from an Ancient Poet, Eyres reexamines Horace's life, legacy, and verse. With a light, lyrical touch (deployed in new, fresh versions of some of Horace's most famous odes) and a keen critical eye, Eyres reveals a lively, relevant Horace, whose society—Rome at the dawn of the empire—is much more similar to our own than we might want to believe. Eyres's study is not only intriguing—he retranslates Horace's most famous phrase as "taste the day"—but enlivening. Through Horace, Eyres meditates on how to live well, mounts a convincing case for the importance of poetry, and relates a moving tale of personal discovery. By the end of this remarkable journey, the reader too will believe in the power of Horace's "lovely words that go on shining with their modest glow, like a warm and inextinguishable candle in the darkness." Harry Eyres has become one of the most eloquent representatives of the worldwide Slow Movement. Having worked for leading newspapers and magazines as a wine writer, theater critic, and poetry editor, he created the international Slow Lane column in the Financial Times in 2004. Slow Lane encourages and facilitates thoughtful enjoyment of the profound, and often uncostly and unmonetized, pleasures and values that make life worth living. Eyres is the author of the poetry collection Hotel Eliseo, Plato's "The Republic": A Beginner's Guide, and several books on wine.